The third main type of organizational structure, called the matrix structure, is a hybrid of divisional and functional structure. Typically used in large multinational companies, the matrix structure allows for the benefits of functional and divisional structures to exist in one organization. This can create power struggles because most areas of the company will have a dual management--a functional manager and a product or divisional manager working at the same level and covering some of the same managerial territory. Functional and divisional models inherently create organizational silos. Matrix approaches try to resolve those silos with a vertical and horizontal model of management. However, Matrix management is not helping companies bust through the silos, mainly because as you cross a department, function, or division, you create natural friction. Friction can be good or bad, but most often it creates “drag” in an organizations ability to adapt, and ultimately reduces their ability to compete in a fast-paced marketplace, where speed to market is a competitive advantage. 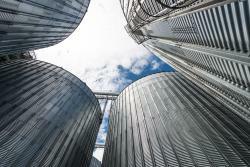 Business Process Management can be the solution to finally breaking through silos and bringing the full value of a matrixed organization to fruition. Business Process Management (BPM) is the discipline of managing processes as a means for improving business performance outcomes and operational agility. BPM is a way of looking at and then controlling the processes that are present in an organization to make certain that the processes are efficient and effective, as this will result in a better and more cost-efficient organization. BPM includes process improvement, execution, architecture, governance, simulation, measurement, reengineering, automation and optimization as well as the technology required to successfully manage business processes. Value Stream Management (VSM) is a key framework of the BPM discipline that provides the insight, visibility and ownership across an enterprise business process. The example below helps to visualize the construct of a Value Stream. Value Streams cut across the Enterprise functions and divisions and look to visualize and ultimately optimize outcomes of the entire process, reducing friction and lack of transparency of what the customer ultimately experiences. 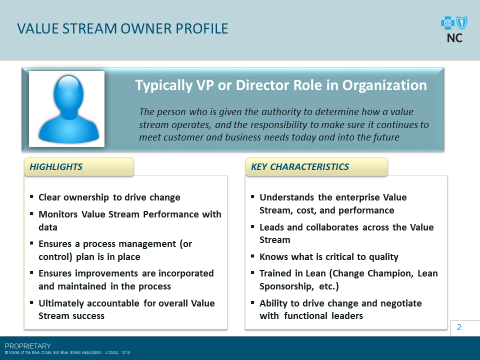 Once you have identified the key Value Streams across the enterprise, the next steps to activate a different organizational engagement model is to define, select and empower the Value Stream Owner. 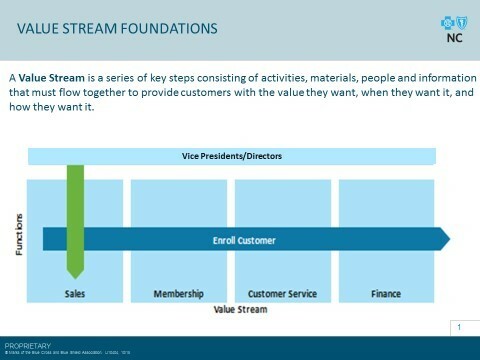 A Value Stream Owner works across the value stream functions and divisions to align, integrate, and drive customer and enterprise outcomes. The Value Stream Owner must ensure transparency, work with the functional and divisional leads to determine the key performance metrics, prioritize improvement initiatives and make the final decisions. They hold the accountability, with functional and divisional leads retaining the responsibility. The following is an example of how we have defined this role and the key characteristics we look for in this leader. Matrixed organizations often do not have clear accountability once you leave a function and cross to another function or division. As noted above, it creates conflict and without a positive conflict resolution model, functional and divisional leaders become frustrated and confused on decision-making and conflict resolution. This then slows the organization down as issues are escalated and more senior leaders are engaged to resolve the enterprise conflicts. The initial move to value stream ownership is not a magic solution to solving the organizational challenges of breaking through silos. It must be introduced as part of the change management and transformation work that you are already doing to roll out an enterprise Business Process Management approach. Large organizations that can weave in the agility of start-ups into their DNA will be able to identify and remove friction across their teams. Ultimately, this will position them to win against their competition, as they will be already aligned and ready to pivot as the market changes. Business Process Management is not only a critical process management toolkit but when leveraged to its fullest potential, it can become a critical leadership engagement model to finally gain clarity of the decision making framework in a matrixed organizational model. Excellent article! Let me add to the thoughts in the article: A strategy to enable horizontal ownership of VS/processes to take root is to share that ownership at a committee level, instead of an individual. The main take-away is that a decision to modify a value stream or process cannot be made in (branch or region) isolation, but must be achieved by consensus at the committee level. A policy describing ownership accountabilities, roles and controls, as well as articulating the protocol to amend an operational process/value stream is a viable instrument to establish a horizontal management culture.